Doc: 1.21 Gigawatts. Great Scott! What the hell is a Gigawatt? 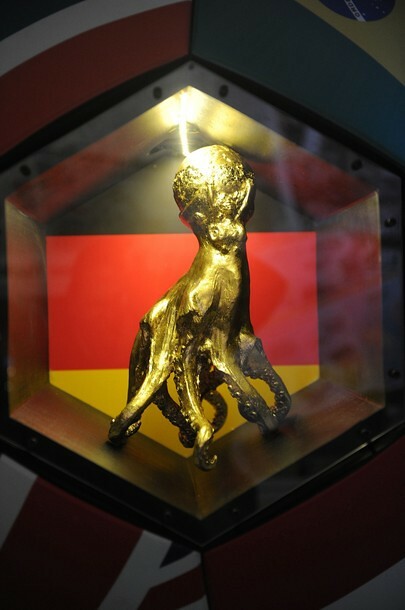 Paul, the German octopus famous for correctly predicting each of Germany’s 2010 World Cup matches, got his own permanent memorial three months after his death. 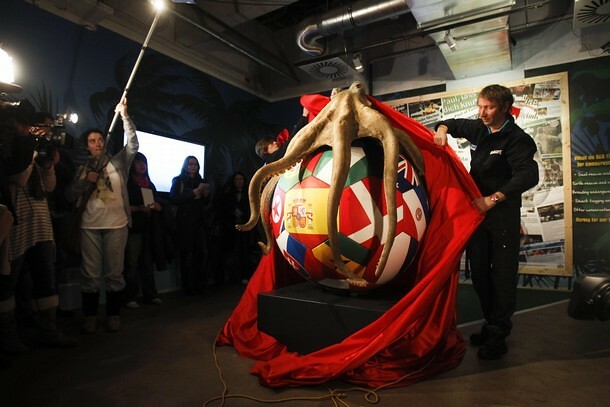 The Sea Life aquarium in Oberhausen, Germany, unveiled the 2 meters tall plastic replica of Paul clutching a football in its eight arms. 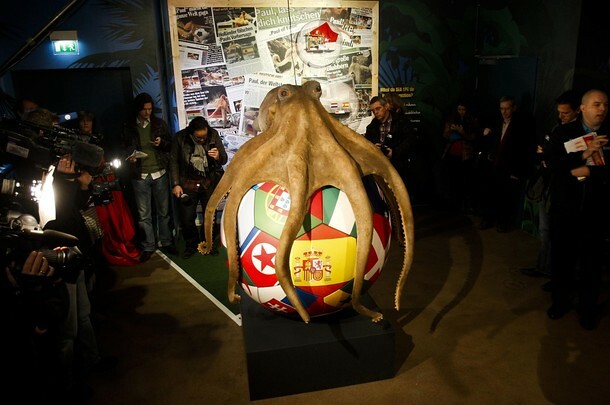 The cephalopod’s cremated ashes were placed in a gold-leaf-covered urn inside the football. 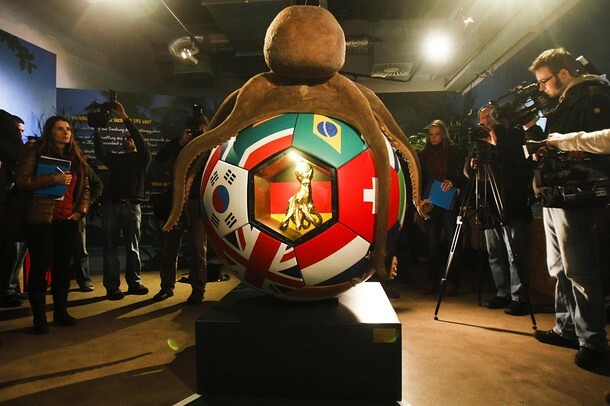 The monument, funded by the employees of his former home, Sea Life, represents an octopus hugging a soccer ball. – said aquarium owner, Stefan Porwoll. Next to the monument, a protected area of the aquarium, visitors can see a small exhibition devoted to octopus with many press clippings, gifts from around the world, original boxes used in their predictions, and a shirt with openings for eight arms, ie the number of tentacles of Paul. 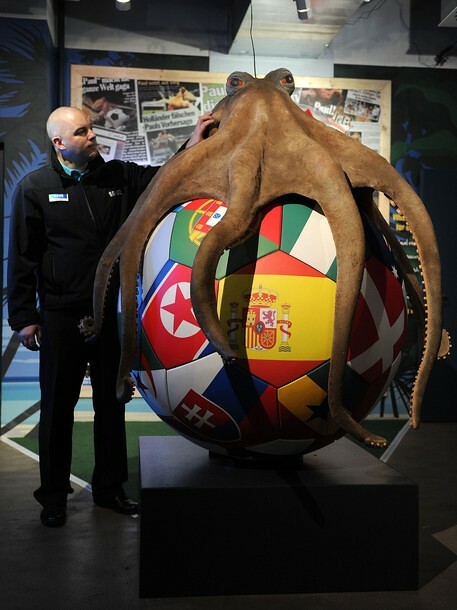 Paul already has a successor in the aquarium of Oberhausen, Paul II, and according to a spokeswoman, is expected next summer World Cup in the women’s new start in the cephalopod divination.